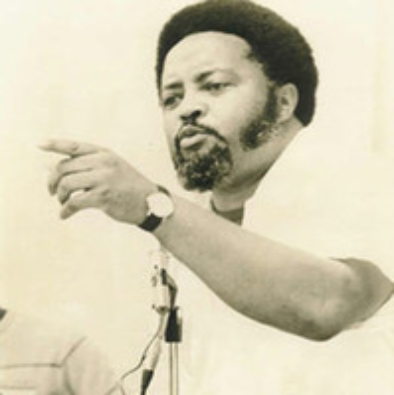 Born on January 5th, 1926 in Attapulgus, Georgia, Hosea Williams became a prominent civil rights activist and war hero. Unfortunately, his mother died in childbirth and his father was never in the picture, so Williams was raised by his grandfather, Turner Williams. Williams encountered racism early in his life. At fourteen he was forced to run away from his grandfather’s farm in Georgia to avoid a lynching for befriending a young white girl. At the beginning of World War II, Williams enlisted into the racially segregated U.S. Army and served in an all-black infantry regiment under General George Patton. Williams was wounded in battle and spent a full year in a military hospital recovering from his injury. Upon his return, he finished his high school education at the age of twenty-three, and was awarded the Purple Heart for his bravery in battle. Quickly after high school he began studying at Morris Brown College in Atlanta where he earned his bachelor of arts in chemistry. Afterwards, he earned a master in chemistry while also being ordained as a ministerform Atlanta University. Quickly after graduation he began to work for the United States Department of Agriculture as a research chemist. During this time, Williams married Juanita Terry. The couple had five children and adopted four more. In 1952, Williams tried to drink from a ‘White Only’ water fountain in Savannah and was almost killed for doing so. After that incident he joined the Savannah, Georgia branch of the National Association for the Advancement of Colored People (NAACP) where his civil rights activist career began. After advancing through the NAACP, Williams joined the Southern Christian Leadership Conference, becoming by 1962 one of Dr. Martin Luther King, Jr.’s most trusted advisers. Williams’ first project while in the SCLC was conducting and directing black voter registration drives in during in Mississippi during the Freedom Summer of 1964. Just a few months later he played a key organizational role in the Selma to Montgomery, Alabama march in 1965. After witnessing Dr. Martin Luther King’s assassination in Memphis in 1968, Williams was promoted to the executive director of the SCLC. During his later years Hosea Williams organized and led two main marches. The first was Georgia’s biggest civil rights march, when in 1987 over 20,000 people marched through the all-white Forsyth County withstanding racial slurs and physical beatings. The second was a march to Georgia’s state capital in 1996 to challenge the state government to remove the confederate symbol in the state flag. After decades of voter registration efforts, Williams entered politics, serving in the Georgia State Assembly from 1974 to 1984. After resigning his wife took his seat. In 1985 he was elected to the Atlanta City Council and served there for five years. Later, from 1990 to 1994, Williams moved to an Atlanta suburb and served as a DeKalb County, Georgia Commissioner. On November 16th, 2000, Hosea Williams lost his battle to cancer. His life is remembered and lives on through his five biological and four adopted children. “Hosea Williams,” Biography.com, https://www.biography.com/people/hosea-williams-21415939;“International Civil Rights: Walk of Fame,” National Parks Service, U.S. Department of the Interior, October 25 2015, https://www.nps.gov/features/malu/feat0002/wof/Hosea_Williams.htm.